These Combination Storage Cabinet are available on www.buyusedlockers.com where they have a huge selection to choose from if we need additional supplies. 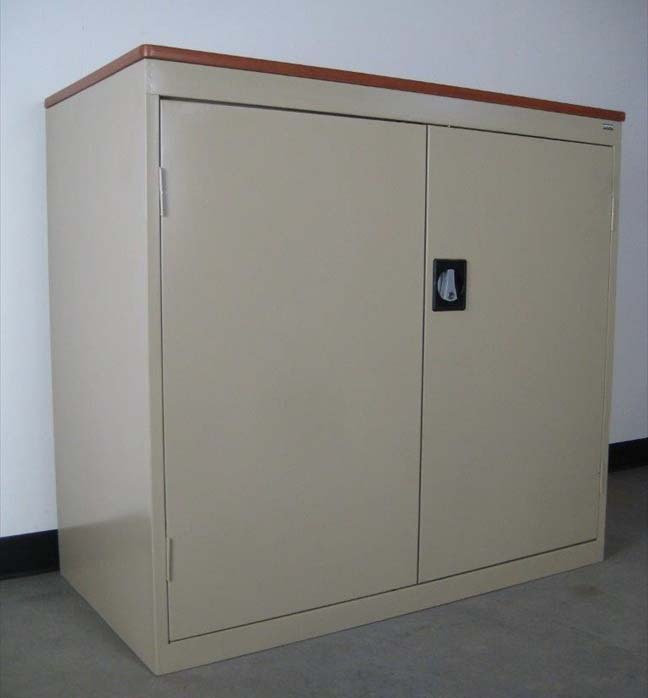 These are Industrial Grade Combination Storage Cabinets that are always in stock and available for immediate shipment. The combination feature allows for storage of supplies as well as provides you with wardrobe hanging space. Accessorized with a full width shelf on top, three half width shelves adjustable on 2" centers on the left hand side and a coat rod and two coat hooks on the right hand side for full length hanging of clothing articles such as coats, smocks, lab jackets, sweat shirts or any other garment you would like to hang up. Each is 36" wide x 78" high and choose from 18", 21" or 24" deep. Ready to ship in Beige or Gray colors.